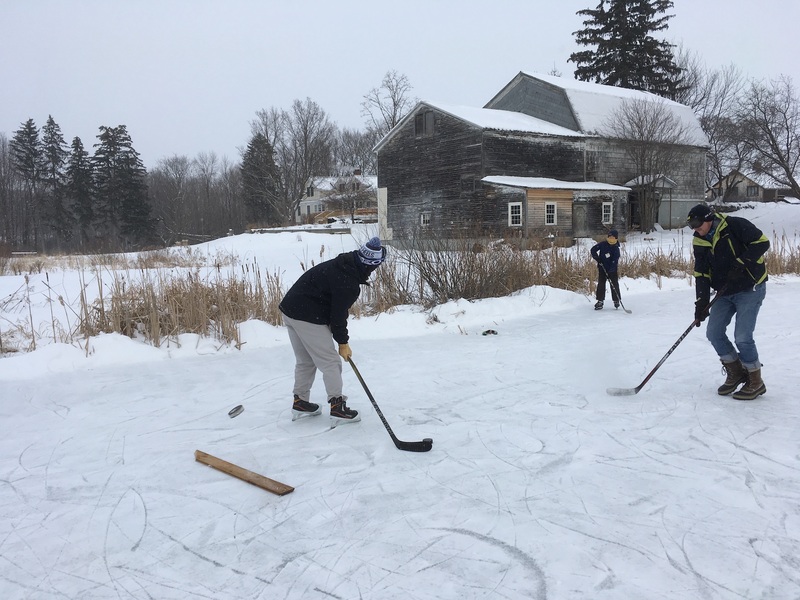 Learning to play hockey at the Cornwall Orchards’ pond. The next morning after breakfast I made two goals from old lumber and built a bonfire. 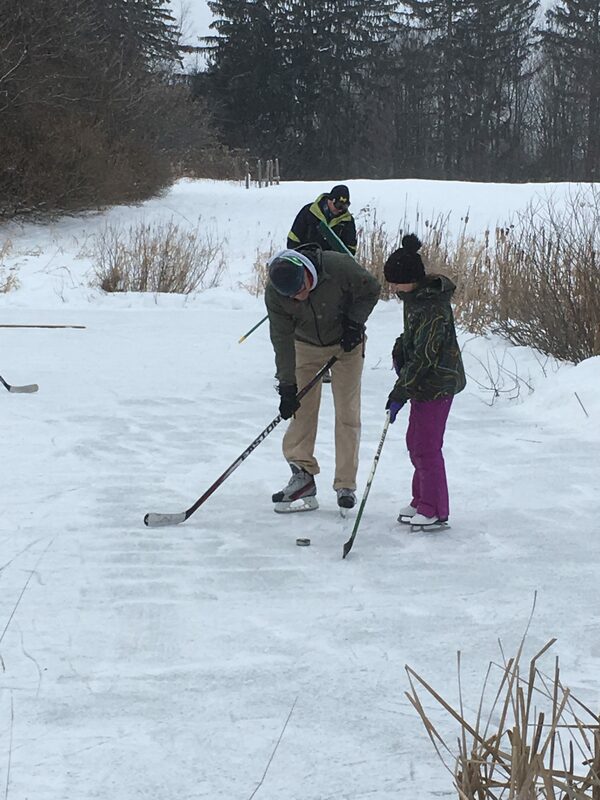 Then as the temperature plunged, the generations played hockey. Coming to Cornwall? Bring your skates and call for conditions! Perfect hockey on a cold day. This entry was posted in guest experience and tagged Rooted in Vermont by admin. Bookmark the permalink.